Spring is one of our favorite times of the year. Warmer weather means the flowers are blooming, the grass is growing and it’s time to mow the lawn. If you want to have a beautiful, healthy lawn, nothing makes the cut like a genuine Honda lawn mower. Honda is dedicated to technological and environmental innovation. In fact, Honda designed the first and only lawn mower to feature a NeXite® mower deck. The rust free, dent proof NeXite® mowing deck, on the Honda HRX series mowers, is so durable, that it’s backed with a lifetime warranty. Honda also designed another FIRST: the first lawn mower to feature an overhead cam engine. Honda developed an overhead cam engine for use on a walk behind lawn mower. Introduced in 1997, the GCV160 engine offers lighter weight, less mechanical noise, improved fuel efficiency and the world’s first small engine internal timing belt. All Honda mowers are backed by a comprehensive warranty. Honda wants to help you get the best results from your new mower. Check out the Honda Owner’s Manual before operating the lawn mower for the first time. 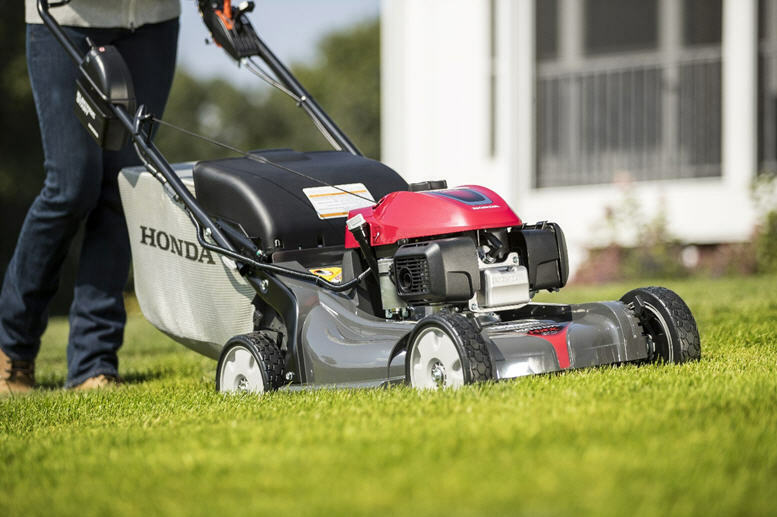 The Honda Owner’s Manual includes safety instructions, a check list before operating the mower, maintenance schedule, parts, storage tips and warranty information. The Honda Owner’s Manual also has the product registration information. Registering your Honda lawn mower within 30 days of purchase, will ensure that you receive important service information. Village Outdoor Living, Inc., 6075 N Green Bay Ave Glendale, WI 53209-3811, (414) 961-1143 is here to answer your questions about lawn mowers, servicing and maintenance. · Don’t wear clothing that dangles and can get caught in a snow blower’s moving parts. · Before you start using a snow blower, remove impediments such as wires and newspapers that can clog or damage the machine. · When your area has had several inches of accumulated wet snow, you may experience issues with your snow blower clogging. When snow clogs the machine, it’s important that you NOT try to fix it using your fingers/hand. Most people think right after they turn the machine off, the blades won’t rotate. WRONG! In fact, each year statistics show hundreds of people suffers from finger and hand injuries due to improper snow blower handling. Honda two stage snow blowers include a special declogging tool. Always use it to unclog your snow blower! · Gas-powered snow blowers can create carbon monoxide poisoning if the area isn’t properly ventilated. So stay away from enclosed areas such as a garage or shed when you start and run this type of snow blower. 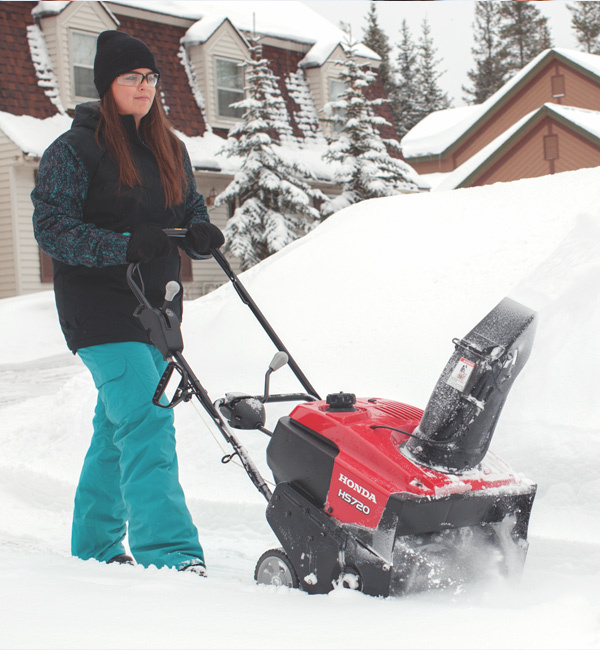 · When using an HS720 snow blower with electric start, be sure you have an approved outdoor extension cord for your model and connect it to a properly grounded outlet. · If it’s extremely cold outside, take frequents breaks to avoid excessive physical exertion that can cause health issues. Remember all snow blowers aren’t equal as it pertains to steering and control, blower diameter for increased snow removal speed, serrated ice breaking augers, distance control mechanisms and snow throwing capacity/distance to name a few. Village Outdoor Living, Inc., 6075 N Green Bay Ave Glendale, WI 53209-3811, (414) 961-1143 is here to answer your questions and help with your snow blower needs. Customer safety is extremely important to Village Outdoor Living, Inc. and that’s why we want to encourage discussions about generator safety. All too often, we hear about preventable deaths when generator safety isn’t a high priority, resulting in Carbon Monoxide (CO) poisoning. In fact about 170 people in the U.S. die every year from CO produced by non-automotive consumer products. 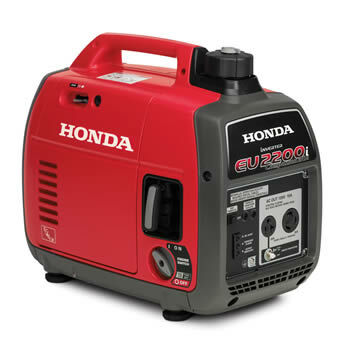 These products include Honda’s engine powered equipment such as generators for the construction and rental industries, backup power during outages, camping equipment and other outdoor events. CO is a deadly, colorless, odorless and can kill within minutes. Village Outdoor Living, Inc. wants you to be safe. Many people don’t know the only safe place to have a generator is outdoors, away from doors and windows. In closed areas, even with open doors and windows, these spaces can trap CO and allow it to quickly build to lethal levels. So we need to learn and share how to practice generator safety. · Exhaust contains toxic CO.
· Connected to a building improperly could allow electrical current to feed back into utility lines, creating an electrocution hazard for utility workers. · Using a generator with wet hands or in wet conditions could result in electrocution. · Run on gasoline and to avoid explosive situations, don’t refuel while the engine is hot and running and keep flammables away from the generator when it’s running. · Become very hot during operation and remain hot for a while after the engine stops. Be careful not to touch the muffler while it is hot, and let the engine cool before storing the generator indoors. CO initial symptoms are similar to the flu (without the fever), shortness of breath, nausea and dizziness. Higher level symptoms of CO poisoning include mental confusion, vomiting, loss of muscular coordination and consciousness and death. If you think you have been exposed to toxic levels of CO, get outside immediately for fresh air, call 911 and tell them you suspect you’ve been exposed to CO poisoning. This winter, Village Outdoor Living, Inc. wants us all to be safer by telling our family and friends about CO dangers and how we can avoid catastrophes. Consider purchasing CO detectors as gifts for ourselves and loved ones. We definitely want to read our generator manuals and encourage others to read them too and share the information, and take time to review generator labels for more safety specifics. Village Outdoor Living, Inc., 6075 N Green Bay Ave Glendale, WI 53209-3811, (414) 961-1143 is here to answer your questions and help with your generator needs. As winter continues to grip a good part of our country and the weather remains unpredictable, you never know when a generator might come in handy. If the area you live in has frequent power outages, buying a generator might be a good investment and relieve some stress. Many of us don’t think about the need for a generator until we experience a power failure. Then all kinds of issues arise, including the inability to heat or cool our home, spoiled food in the refrigerator and freezer, inoperable medical equipment, charging your cell phone, and more. • Decide if the generator will be used as an emergency backup at home or during outdoor activities. 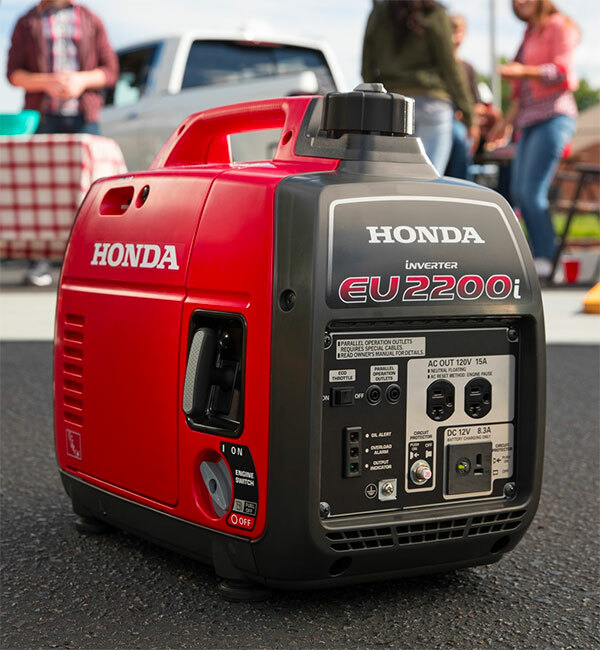 If you are interested in using it for more than just emergency back up, consider an EU series generator, which is very versatile and perfect for recreational activities as well as home power. A couple of safety issues to be aware of when using generators are carbon monoxide and electrocution. Carbon monoxide is colorless and odorless and kills people every year, while sending others to the emergency room. Generators belong outside and should never be run in a basement or garage, even if windows or doors are open. Always consult your owner’s manual for other safety concerns and more information.